5. Andrea's beautiful butterfly illustration. 4. Pretty napkin necklaces from Family of Handcrafters. 3. The Gold and the New Dress from Shop ModCloth . Words cannot express how much I love this dress. It is perfect! 2. These pretty green shoes from B.A.I.T. I am crazy about the colour. 1. 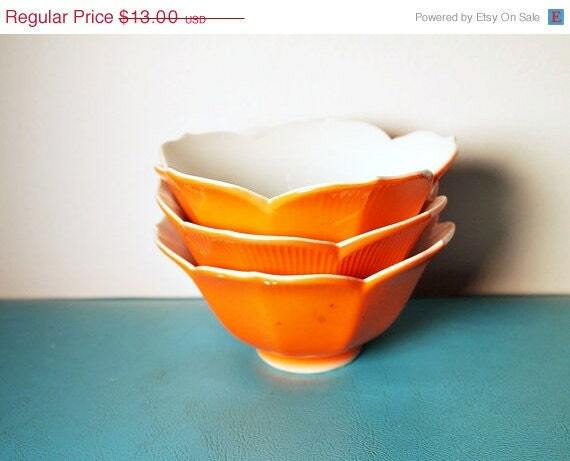 These bowls from Caren's shop The Vintage Apartment. I am dying over this style of bowls at the moment. They are so pretty! Today I am going to figure out my travel plans for the weekend. I'm heading to Peterborough people! You probably already figured that out if you saw this post. I'm excited but I have a lot of things to finish up today before I head out tomorrow. What are your weekend plans? Will you be joining Thursday and I for the Crafternoon on Sunday? c'mooooooooonnnnnn down! We, the peterpatchians are eager and waiting to see your pretty self! And yes, I hope to be "going Thursday and you" for crafternoon, if I'm home in time! 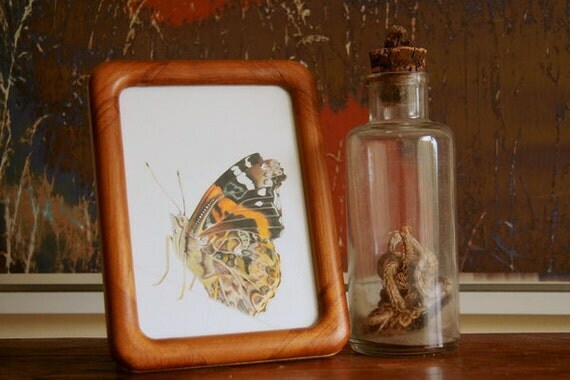 I love the wooden frame on that butterfly illustration too. I've been seeing B.A.I.T. shoes everywhere and I'm totally smitten. Those green ones are lovely. Have fun traveling, be safe. love love all of these. those shoes are spectacular! I am LOVING that dress + shoes!! Lovely finds Elycia!! That dress is so cute! 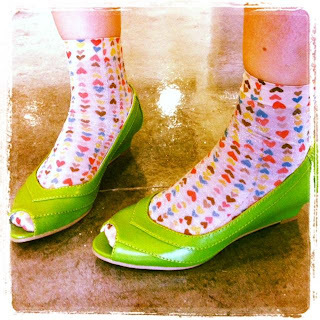 Those shoes are pretty, but I'm really loving the heart-print socks! Thank you so very much for featuring my illustration! You're so very sweet! ♥ Hope you have fun in the Patch (wish I was there). Oh and that dress is so great! Totally cute is the green shoes! We have got looong weeked in Hungary, because Monday is Mayday. :) I am so happy because probably I buy a new DLSR camera! Then, I can send you cute pictures of the Hungarian spring! 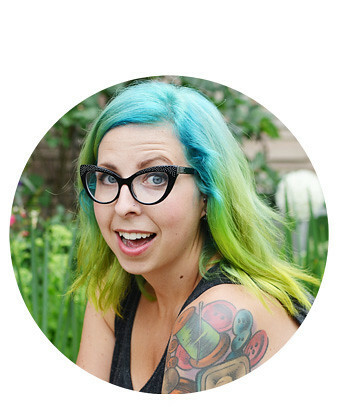 Andrea is so talented, I love her blog! I love illustrations and that butterfly one is so, so gorgeous!!! THOSE BOWLS. i had a whole set of them when i lived in illinois, but i got rid of them because i was moving and it wasn't practical. i miss them so much.